MICHAEL J. 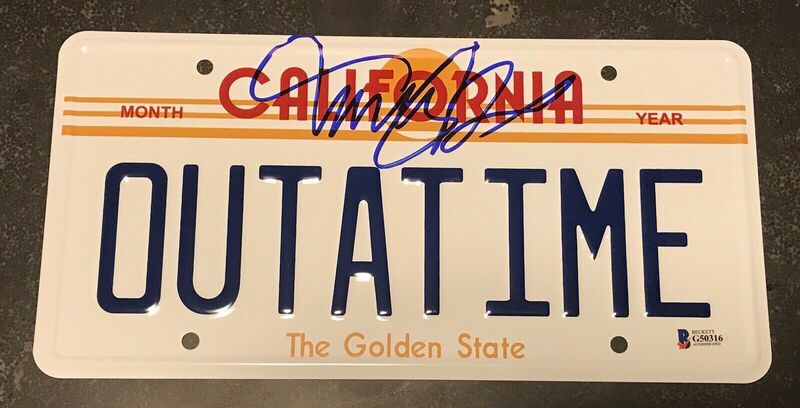 FOX SIGNED "BACK TO THE FUTURE" EXACT CAR LICENSE PLATE BECKETT COA B Comes fully certified with Certificate of Authenticity and tamper-evident hologram. Also backed by HollywoodMemorabilia.com's Authenticity Guarantee.